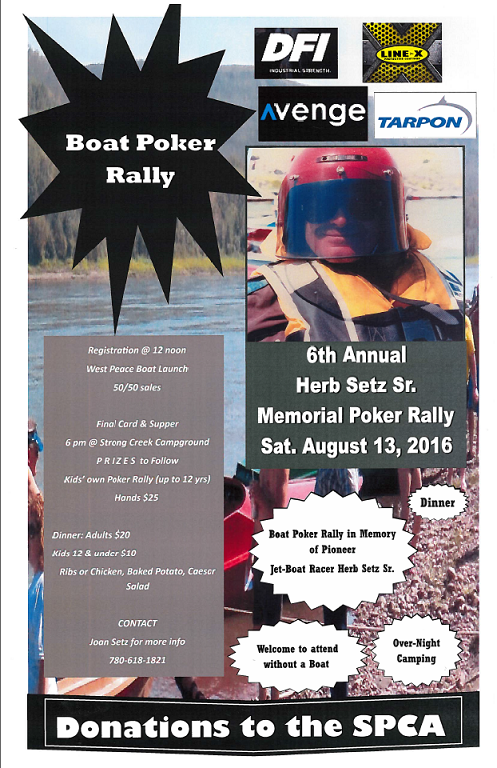 This year we are having the rally on Saturday, August 13 2016 to accommodate the races and rallies. Like in years past, there are plenty of free camping spots for everyone. 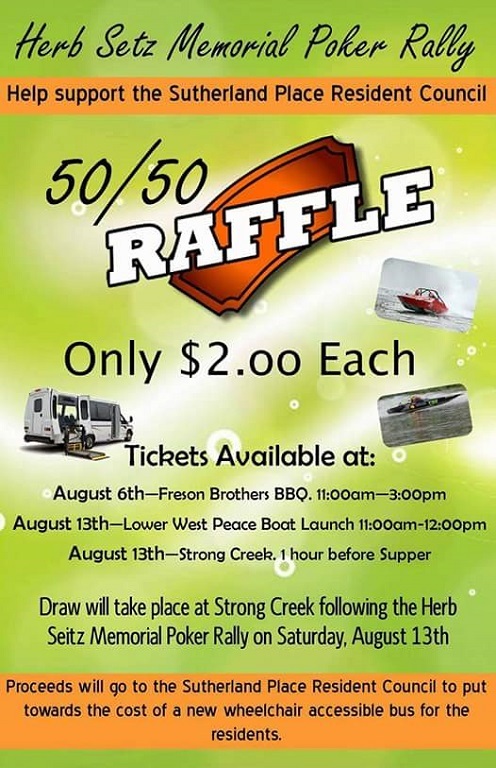 Trying something new this year With our 50/50 as the Sutherland Place Resident council needs some help in Peace River. What a turnout for another great day on the river! I want to thank all the Sponsors, Volunteers and Door prize donators. We had great weather all day and enjoyed an awesome meal from the Belle Petroleum center. Special thanks to Jeremy Hand and Avenge as well as Jason Ruel, Kaz Lizotte, Trevor Provost, Colton Houston from the PRBA. The Peace River SPCA and Sutherland nursing home will see their donations this week. Congratulations to Zabrina Bamping who won the best hand with 4 aces! We hope everyone had fun and we will see you all next year!